we have to be both practical and innovative if we’re to see these folk successfully employed. Parishna’s insight is that most companies simply don’t feel confident enough about how to bring a blind or partially sighted staff member into their workplaces. “We needed to offer something more to companies,” says Parishna. Creating awareness around blind and partially sighted people, and educating potential employers and their staff, is important. We’re now equipped with a tailored awareness presentation – but sensitisation for employers and their staff is also important. For this, we have our sensitisation workshop. It’s a fun­filled, practical workshop for the company, helping to sensitise the staff and management about being completely comfortable around people with disabilities. 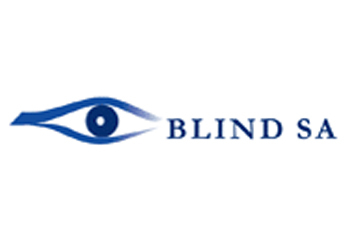 Blind SA would like to offer any company a free sensitisation workshop. This informative workshop serves to create an understanding between staff and a blind or partially sighted colleague. The workshop, in a light-hearted manner will equip staff with skills to understand the do’s and dont’s when interacting with people with disabilities. An awareness presentation, fun team­ building activities, and demonstrations on how a blind or partially sighted employee performs tasks in the workplace are just some of what is covered in the workshop. Parishna on 011 839 1793, or email her on parishna@blindsa.org.za.